This elegant 400ml Glencoe lead crystal panel highball tumbler is the perfect gift or memento for a business or personal occasion. 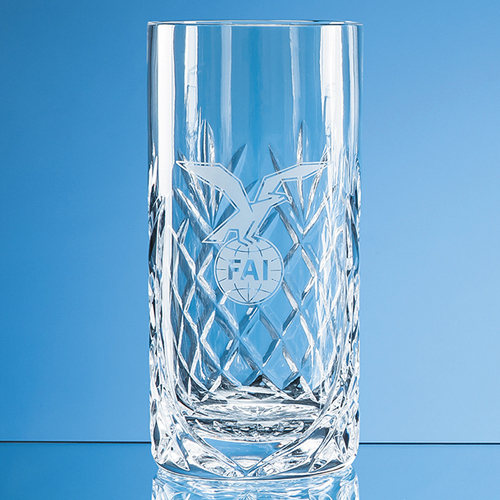 Incorporating a classic diamond and wedge cut glass pattern there is also a generous space to engrave a personalised message, logo or crest. It would make a great retirement gift, thank-you, engagement or wedding memento, or it could be used to brand presence at a corporate event. Available as an option is a beautiful presentation box with blue satin lining.